A dream it would be if everything on a menu was just a dollar! 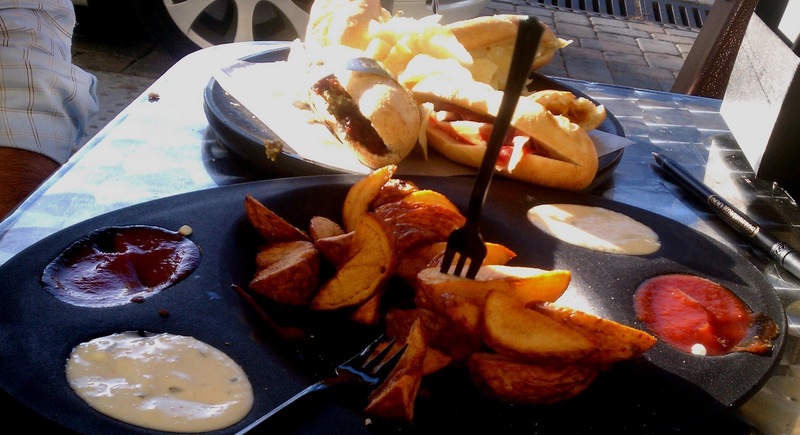 Well dream no more, that is exactly what happens at 100 Montaditos Restaurant every Wednesday! Our bill was just below ten dollars <<outrageous >> and the delights that is those montaditos is what makes it even more unbelievable. The first time we tried to check it out, it was a fail, why? Because we hard working individuals got there on a Wednesday at 7pm to realize that two extra bodies just would not fit in that crowded space. I was so disappointed because I really wanted to see what is was all about, but we came back on a Friday and our little hearts melted. Last Wednesday though, my honey and I were able to make it there much earlier than 7pm and it was a success. the Spanish Brava Potatoes, YUM! Comes all the way from Spain. In Spain, montaditos are usually enjoyed between meals or after a long day during the evening time, perfect with a glass of wine. They originate from the region known as the Basque Country, which is north of Spain (and where my last name derives from, go Basque!). 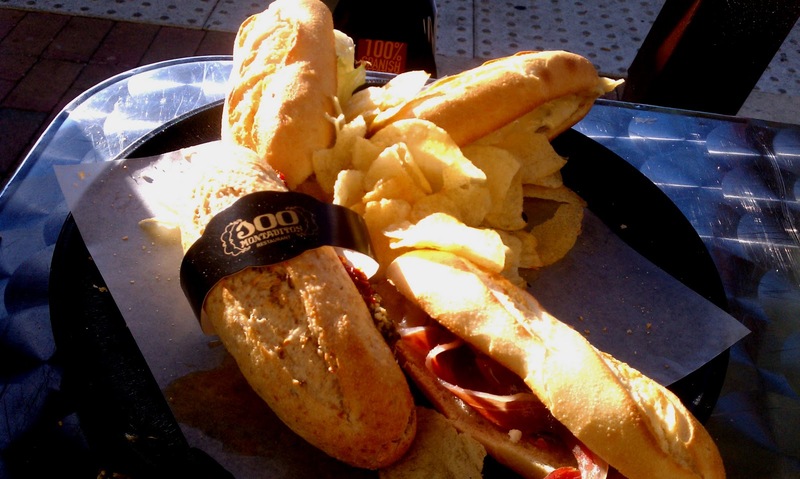 100 Montaditos has good food at good prices, so what more do you want! tried almost all montaditos and I pretty much like them all. My favorite sampler plate for two...the Barcelona. Try the Tinto de Verano (it's red wine and sierra mist), very refreshing and probably the most popular drink because every other table always has it when I am there. They have dessert montaditos too, I like the chocolate spread and almond one. Want to drink beer while enjoying these delicacies? head on over to them on Fridays and they have what they call Doublefever, two buckets of beer for the price of one. 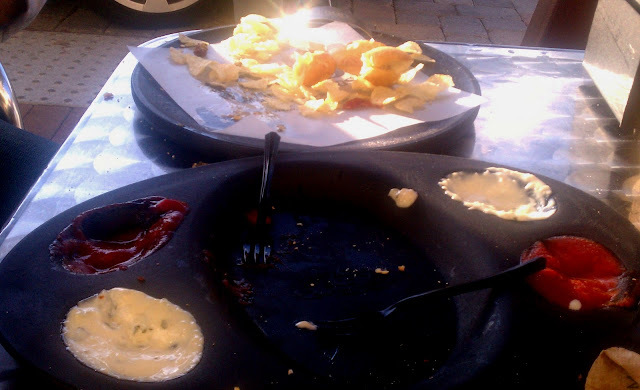 Overall, the atmosphere is very casual, friendly and fun. Been there already? share what was your favorite montadito. Plan to go there, share your experience when you go, just leave me a msg down below.